When you dine at Be our Guest. 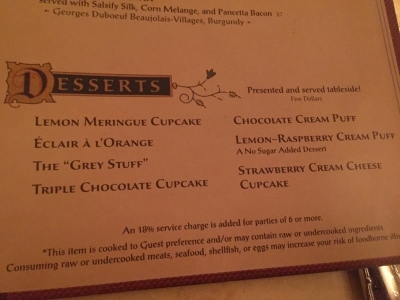 The “grey stuff” (like in the song), is really on the menu! It’s actually pretty good… I wouldn’t say “delicious”, but the kids love the idea! Next Next post: Do you know what a FLIK is?